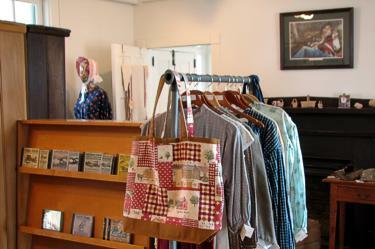 Shop in the “Crawford Store” for a memento of your visit to the Beverly Heritage Center. We endeavor to feature only high quality goods, locally or regionally produced, and thematically connected to our museum. heritage inspired crafts by local artisans. The only state born as a result of the Civil War, West Virginia was the most divided state in the nation. About forty thousand of its residents served in the combatant forces—about twenty thousand on each side. The Mountain State also saw its fair share of battles, skirmishes, raids and guerrilla warfare, with places like Harpers Ferry, Philippi and Rich Mountain becoming household names in 1861. When the Commonwealth of Virginia seceded from the Union on April 17, 1861, leaders primarily from the northwestern region of the state began the political process that eventually led to the creation of West Virginia on June 20, 1863. 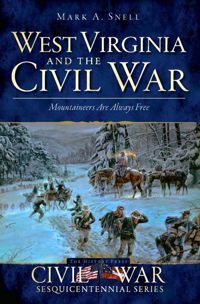 Renowned Civil War historian Mark A. Snell has written the first thorough history of these West Virginians and their civil war in more than fifty years. 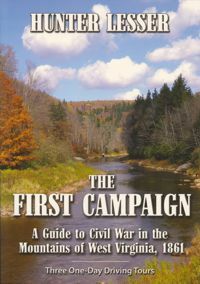 West Virginia was the setting for the First Campaign of America’s Civil War. Here brothers clashed in combat amid the rugged mountains of “Western” Virginia in 1861. The First Campaign became a proving ground for soldiers and civilians who would shape American history. In these mountains, a Union army lead by George McClellan battled Confederates directed by Robert E. Lee. McClellan rocketed to stardom here while Lee left the mountains in defeat. Meanwhile, daring Unionists forged a new Virginia government. With President Lincoln’s aid, the new state of West Virginia was born. This guidebook offers three one-day driving tours filled with spellbinding scenery and adventure. Easy to follow directions, narratives and “fun facts” are your ticket to a delightful journey through these “enchanted” mountains. The guidebook offers a compelling one-two punch for travelers and history buffs: Civil War drama, outdoor adventure and great scenic vistas all in one package. This guidebook can serve as your touchstone to the past. Written by a man respected by his friends and his foes, these memoirs reveal the life of a company commander. 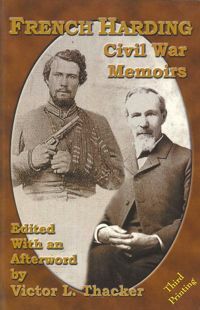 Newly discovered writings of the Confederate captain who fought in Virginia’s 31st Infantry and 20th Cavalry. His story is full of integrity, harrowing escapes, the pathos of losing two brothers, and the humor of men at war. A leader during the war and after, Harding was elected as Sheriff of Randolph County and twice to the WV House of Delegates. The STAUNTON-PARKERSBURG TURNPIKE offers a set of audio CD's about the history of the turnpike and its region. You can buy these CD's online from the Turnpike Alliance HERE.